EVO 2013 will be live-streamed with Japanese commentators, courtesy of Mad Catz and Japanese video sharing site Nico Nico Douga. The stream will be free to view on the Nico Nico site. 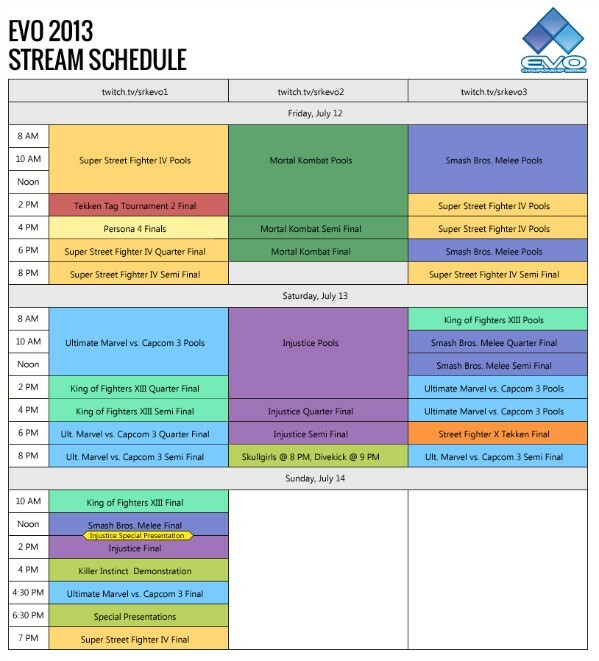 The Japanese iteration of EVO 2013's streaming schedule joins its English-language Twitch streams at srkevo1, srkevo2 and srkevo3, with the full schedule posted below. The Twitch streams come with a $12 premium option that includes ad-free viewing, chat access, exclusive emoticons and video quality of at least 720p, and all of that money goes to the EVO 2013 college scholarship for NYU Game Center. EVO 2013 kicks off on Friday, July 12, and runs through Sunday, July 14. Check out its Indie Showcase lineup here.